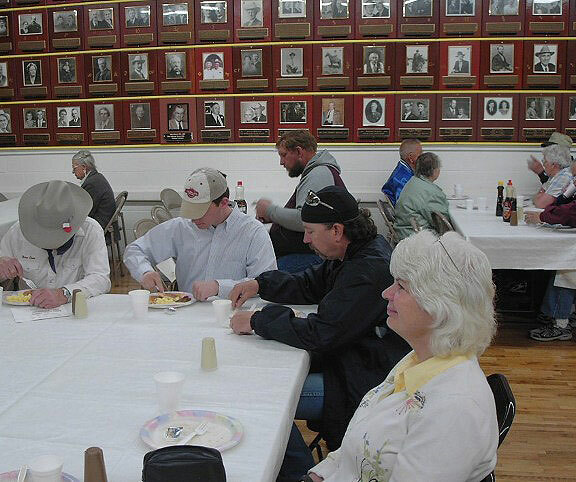 The Cowboy Breakfast is usually held in the Museum’s Memorial Hall on the Saturday morning of the Bucking Horse Show and Sale in May of each year. 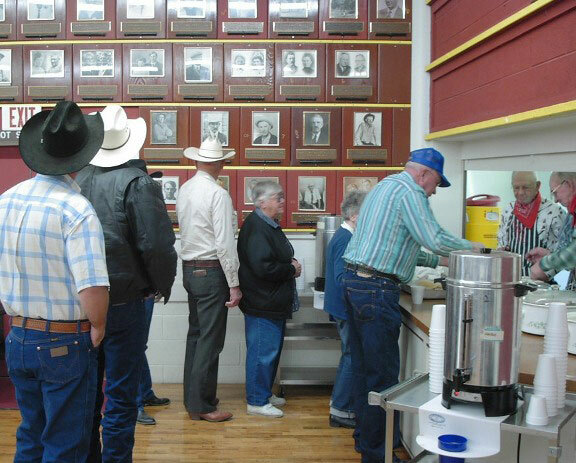 The Museum’s Board of Directors, Members and Range Rider Reps serve guests their choice of breakfasts for a nominal price. 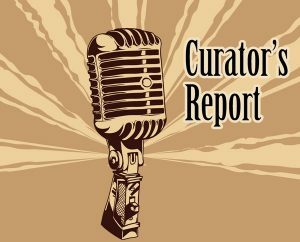 This is an annual fund-raiser for Range Riders Museum, Inc. 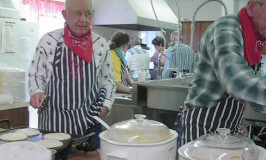 The kitchen is a busy place during the Cowboy Breakfast service. 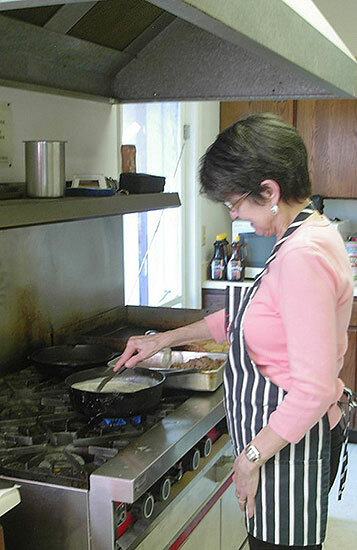 The volunteer staff is kept busy cooking. 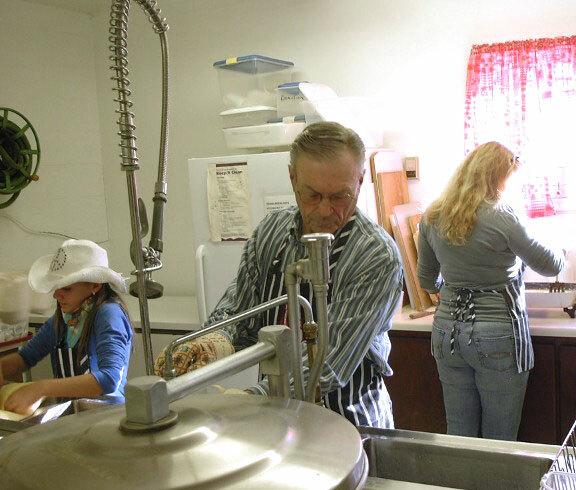 The volunteer staff is also kept busy cleaning. 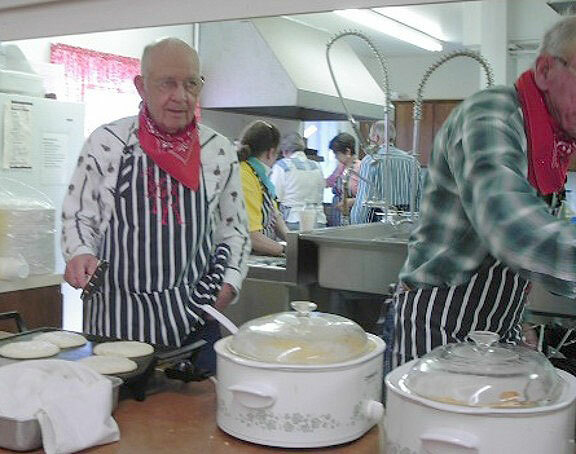 Breakfast lasts for 3-hours, and the folks just keep comin’ in!